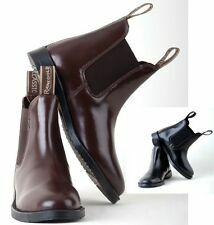 Classic Childs/childrens/kids Leather Jodhpur Boots. Black or Brown. All sizes! 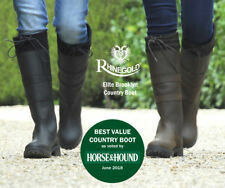 Really lovely pair of long riding boots. Still in the original box. Sadly I only got to show once :(. ). 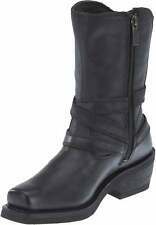 Toggi Derby Long Leather Riding boots - Black. Calf Width - 40.5cm. Pictures are of the actual boots you will receive. Real Leather. We would be happy to assist in any way possible. Millers Royale Long Black Leather Pull-On Riding Boots. Black Leather. Ariat model number 10010207 water resistant. 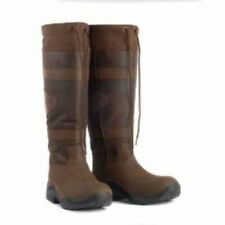 Shires Moretta Florenza boots Size 5 Brown suede 1x pair of tassels - colour to be confirmed Brand new - no box RRP - well over £120 Please ask any questions before bidding. CHECK OUT MY OTHER ITEMS!!! TuffRider Kids Starter Back Zip Field Boots Size 1 Condition is Used. Shipped with USPS Priority Mail. Great condition on these Colt riding boots. Well cared for used pair of Childrens Ariat Heritage Contour field boots Extra slim Medium size 3. Some scuffing and wear on heels but lots of life left in them. They’ve been cleaned a bit however a professional cleaning and polishing would do wonders for these boots. Boots will ship free via priority mail. Originally paid $259. Herrenlederreitstiefel in Größe 43 abzugeben, sehr guter Zustand, Wadenumfang ca. 42cm, Anprobe in Berlin Mitte 24-7 möglich. "A fantastic, full length fleece lined long leather boots from the Mark Todd collection. They feature a nubuck leather upper, and sturdy rubber grip sole. 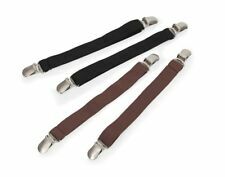 There is a full length zip at the back with elastic fastening tab with popper at the top. Ariat Chaps Size S. Only tried on to small Dispatched with Royal Mail 2nd Class. 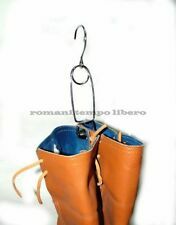 UsedTredstep DaVinci Tall Boots. Regular wear. Color: Black. Good Condition. Height: 18.75". It suits any type of rider. Antique ladies spur with a 1" band with reiner motif in the sliding stop position. Silver trim and rope. 2 1/8" curved shank. 10 point blunted rowel. Provides a strong effect. Freejump Fly One Soft Up Boots are made from impregnated leather and PEBAX (polyether block amides). The high performance of PEBAX makes it ideal for usage in Freejump Fly One ‘Soft Up’ Boots. Freejump Fly One boots are unisex. Tredstep Raphael Long Riding Black Leather Boots Size 6. Condition is New with tags. Dispatched with eBay delivery – Shutl 1 day.